The Arcadia Historical Society, City of Arcadia and Santa Anita Park have announced an official Grand Opening of California racing’s first-ever “Thoroughbred Racing Walk of Champions” on Saturday, Sept. 27, beginning at 5 p.m. on First Ave. between Wheeler St. and Huntington Drive. In a manner similar to that of the world famous “Hollywood Walk of Fame,” bronze plaques of a number of legendary jockeys, trainers, owners and horses will adorn city sidewalks for fans and citizens to enjoy for generations to come. Along with live appearances from legendary retired Hall of Fame jockeys Eddie Delahoussaye and Laffit Pincay, Jr., the public will be treated to live music, free popcorn, bottled water and a vintage car display. “We are thrilled to be able to officially unveil these beautiful bronze tributes to some of the greatest people and horses in racing history,” said Sandy Snider, on behalf of the Arcadia Historical Society. 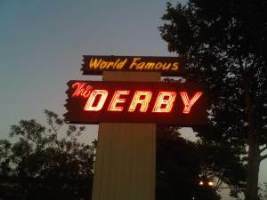 “In recognition of the fact that racing has played such a huge role in the development of Arcadia and the surrounding community, we’re hoping people will make the Walk of Champions, which covers both sides of Huntington Drive from Santa Anita Ave. to the Derby Restaurant just east of Second Ave., a fan-friendly destination for many, many years to come. “In addition to our 60 Cornerstone Champions, who are all deceased, we will also be inducting Eddie Delahoussaye, Laffit Pincay, Jr., Frank Stronach, Dr. Jack Robbins, Serena’s Song, Silver Charm and Tiznow. This project has been enthusiastically received by all of our business owners in the area and we want to especially thank Santa Anita Park for its very generous help in funding it.” So there will be a total of 67 plaques to start the exhibit. Cornerstone inductees include racing legends such as: William Shoemaker, Johnny Longden, Eddie Arcaro, George Woolf, Noble Threewitt, Charlie Whittingham, Bobby Frankel, Lazaro Barrera, William Molter, Mesh Tenney, Farrell Jones, Robert Wheeler, Affirmed, Alysheba, Citation, John Henry, Majestic Prince, Seabiscuit, Silky Sullivan, Spectacular Bid, Sunday Silence, Swaps, Winning Colors and many more. Guided and self-guided tours will be offered beginning at 5 p.m. Each “champion” plaque includes a brief historical recollection of the individual person or horse’s career accomplishments. For more information on the Arcadia Historical Society’s Thoroughbred Walk of Champions event on Sept. 27, please contact info@arcadiahistoricalsociety.org Information on this event via press release.